Please see the Sign Up Page for details. Classes begin 9/10/18. Class dates, times and menus are listed on the Class Schedules Page. It is an honor to serve the youth of our community. Registration is open for the 2017-2018 School Year Cotillion Program at Seacliff Inn! Please see the Sign Up Page for early for tuition discounts! We’re gearing up for another wonderful year of fun classes to build confidence and courtesy in teens and pre-teens! Confidence and social courtesy count in school and business interviews! Sign up in September for $10 off tuition! Returning students get a $20 rebate!! Refer a friend who signs up for a $10 rebate! Our business identity represents integrity and respect. We teach girls that they deserve to be treated with respect, and encourage boys how to treat a lady with respect. Our goal is to build confidence in every student, to teach the values of self-respect, respect for others and social courtesies. We are dedicated to our students and hope to be a positive influence in “Creating Young Adults.” Unfortunately, someone has stolen our logo (we have all rights reserved) and is misrepresenting our reputable business name, using it on the internet to scam women by ‘selling’ “Coast dresses” to them, taking their money, but not delivering on the promised transaction. Coast Stores is an actual dress store in London. We are saddened by this internet crime against us and these women, and have reported the other website (womendresses-uk.org or .net) to the FBI, FTC and the international ecommerce.gov, and to Coast Stores London. We hope this matter is resolved quickly, that the victims will be reimbursed for fraud, the offense stop and offenders held accountable. Our good name will stand on its integrity. Sign up for Cotillion at the Scotts Valley Hilton! We had a wonderful introductory class last night at the Hilton! Polite young ladies and gentlemen practiced good manners while learning the Swing and Waltz! We are extending the early-sign-up-discount another week! Class size is limited, sign up now! Next class is January 23rd, when our dining etiquette focus will be a cup of soup, and we will continue learning classy ballroom dances! The Middle School and High School Hilton Cotillion early sign-up discount will be extended another week! $10 off the 5-class tuition! Refer-a-friend and family $10 rebate, too! 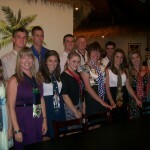 Build confidence in social skills and dining etiquette you will use the rest of your life! Happy Holidays! Sign up now for Scotts Valley/Santa Cruz Hilton Cotillion! Give your child the gift of confidence and courtesy with Cotillion classes! 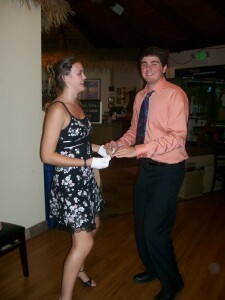 December sign-up $10 tuition discount for Scotts Valley/Santa Cruz Hilton Cotillion classes! Refer-a-friend and sibling for $10 rebate! 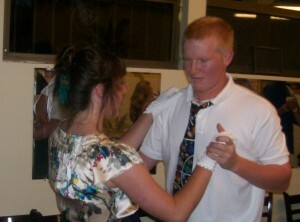 FREE first Hilton Cotillion class January 9, 2012! 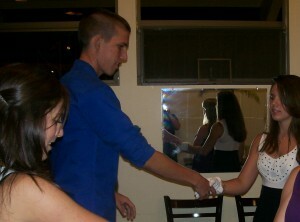 Cotillion classes are coming to the Hilton Santa Cruz/Scotts Valley in January 2012! Sign up in November for $20 off tuition for Cotillion classes at the Hilton! First introductory FREE class is January 9, 2012! Refer-a-friend and family (2nd, 3rd siblings) $10 rebate: see Sign Up Page for details. See Class Schedule Page for class dates and times. 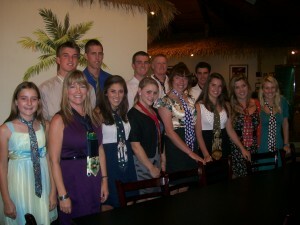 Cotillion Reunion/First Class FREE October 10th! All Central Coast Cotillion students are invited to their Cotillion Class Reunion Dance Monday, October 10th at Seacliff Inn Banquet Room! Grades 5-8 7:00-8:00pm, High School 8:15-9:15pm. Bring a friend! 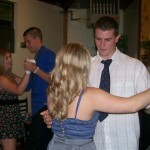 Greet and meet new students, show them the FUN of classy social dances! RSVP on the Contact Page, Facebook Cotillion Page, or 688-5678, thank you! 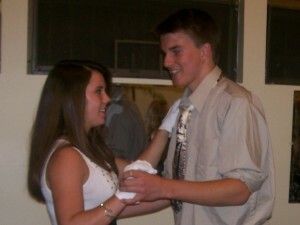 Sign up for Cotillion in September and receive $15.00 OFF the 10-class tuition! Refer a friend and receive a $25.00 rebate check after classes begin in October. Siblings get a $25.00 rebate check, too! Sign up by August 31, 2011 to receive $25.00 off the 10-class session! 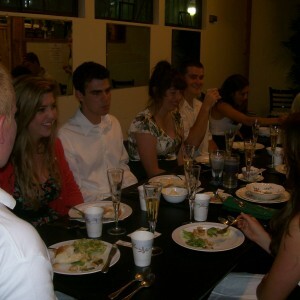 Cotillion classes are a fun social time with friends! Refer a friend to receive a $25.00 rebate! Siblings get a $25.00 rebate, too! Summer Fun Swing Dance at Aromas Grange today! 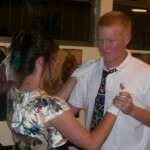 Thank you to the 10th Avenue Swing Dance Band for inviting Central Coast Cotillion students! We’re in Spring Cotillion Classes! We have resumed Spring Cotillion classes at Seacliff Inn! The poised and polite young ladies and gentlemen are looking sharp dancing the Waltz, ChaCha, Swing, Tango, Rumba, Fox Trot and Electric Slide! They respectfully introduce themselves to the parent chaperones and dance partners during every class, with friendly eye contact, firm handshake, and clear speaking voice! 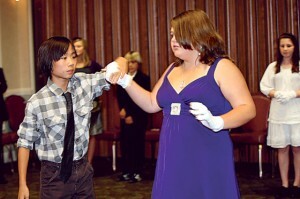 Cotillion builds confidence and courtesy, and these students show it! As we review dining etiquette, cotillion students present perfect posture, good table manners, and offer each other kind complements! The parents will be so pleased at the Parent Party in March! 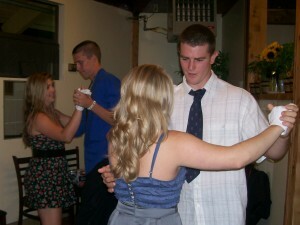 Attend Aptos High January Ballroom Dance Classes for Winter Ball Ticket Discount! APTOS HIGH STUDENTS: Attend Ballroom Dance Classes during lunch in the Warmerdam Gym Thursdays in January and February 3rd to get a major DISCOUNT on your WINTER BALL TICKETS! Join the Cotillion class at Seacliff Inn now for a special rate! Happy Holidays Special Rate! The Spring Session for High School Cotillion Class special is $100.00 for a limited time! It’s not too late to join the Middle School/Jr. High Cotillion Classes! Call for more information 831-688-5678. Cotillion Classes make a great gift! Sign up for the College Cotillion Thanksgiving Holiday Dinner/Dance Class! Friday, November 26, 2010 6:00-8:00pm at The Palm Deli in Aptos. Review dining etiquette during the dinner, then have some fun ballroom dancing! Men: wear nice pants, shirt, shoes and ties. If you don’t know how to tie a tie, we’ll show you how! Ladies: wear a classy dress/skirt, comfortable dancing shoes (no flip flops or tennis shoes, closed-toe and low heel is best) and white gloves. If you need gloves, buy a pair at class for $5.00. Open House and First Class Pictures! We had a wonderful first class full of awesome young ladies and gentlemen! 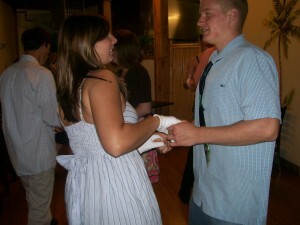 Introduce yourself to your partner and get ready to dance! 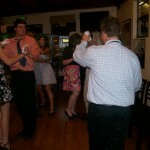 Bring a friend for a free Cotillion class Monday Oct. 11, 2010 at Seacliff Inn, Aptos! Parents, enjoy 25% off dinner at Severino’s Grill while your child attends class! Cotillion class for 5th-8th graders 6:30-7:30pm, and High School/College-age 7:45-8:45pm. Former Cotillion students will demonstrate some of the dances, then we will begin Cotillion! Please RSVP at 688-5678 so we can be sure to have enough refreshments. Or, email your RSVP for the free class on the Contact Page. Sign up to reserve your place in a class! First class is FREE! Parents~enjoy 25% off dinner at Severino’s Grill while your child attends class! Fill in the Sign Up page with your child’s name and your contact information. Feel free to call 688-5678 or email on the Contact page if you have any questions. Pay in advance guarantees a reservation in class, with a rebate (for the first class) and dinner gift certificate given at the first class. 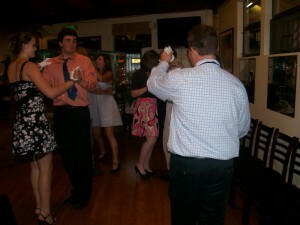 College-High School Cotillion Classes’ Pictures at The Palm Deli!